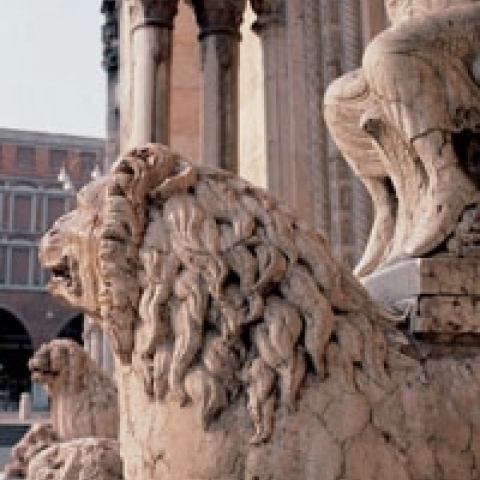 Emilia Romagna is a land full of delicious flavors, fascinating culture, and rejuvenating spas. When you think of Emilia Romagna, the mind evokes the famous tortellini, the Temple of Ferrari, the delicious Lambrusco and some of the oldest and most beautiful Italian spas. 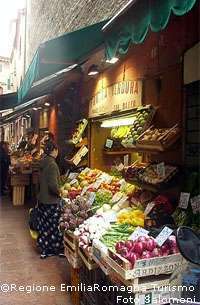 Without a doubt, the region is considered the heaven of the foodie people and the generosity of the local cuisine reflects the joviality and liveliness of the locals. 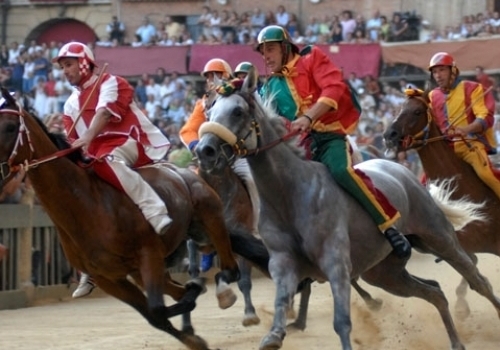 In Emilia Romagna, food has always been considered cultural heritage. Locals usually gather in the taverns to share opinions, stories and enjoy delicious food and wine. 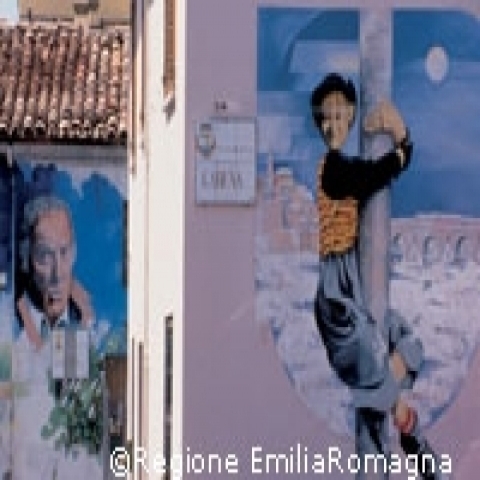 Home of the first University in the world, Emilia Romagna is also the place where many bright minds were born or developed. 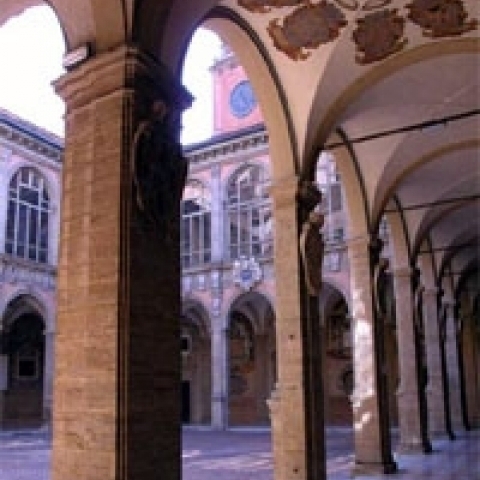 The university had a major influence on the local culture, developing science, unique art, literature, music, and architecture, among many other crafts. 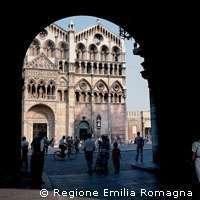 Emilia Romagna is also synonymous with powerful motors. The iconic Ferrari, Lamborghini, and Maserati are only a few of the names we can mention in the automotive industry, while the enthusiasts of two wheels will be delighted by Ducati. Emilia Romagna’s boundaries are enclosed by well-defined natural elements that give the characteristic triangular shape to the region. On the north, Emilia Romagna is flanked by the river Po, the Adriatic sea baths are in the eastern part of the region, while the south and the west are flanked by the Apennine ridge. 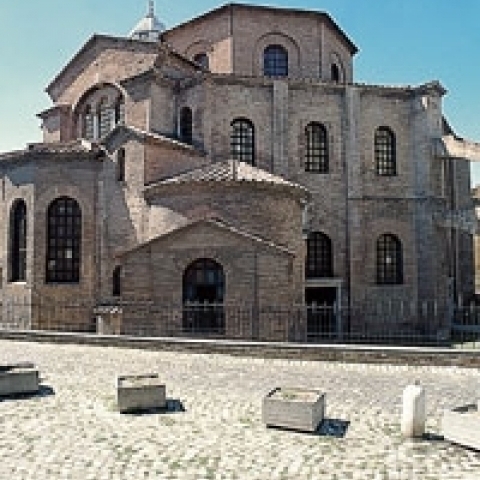 The region, divided into Emilia and Romagna, owes its name to the Via Emilia, an important Roman artery that used to connect the Roman cities of Piacenza and Rimini. 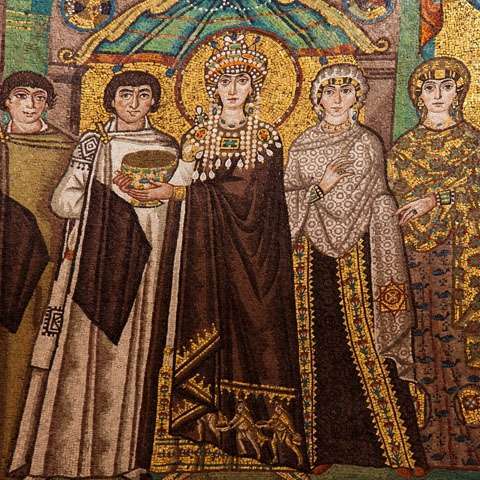 In the medieval times, the name Emilia fell into disuse, while the name Romagna dates back to the Lombard invasion in the 6th century AD and was initially used to indicate the entire territory of the Roman dominion in north-eastern Italy. 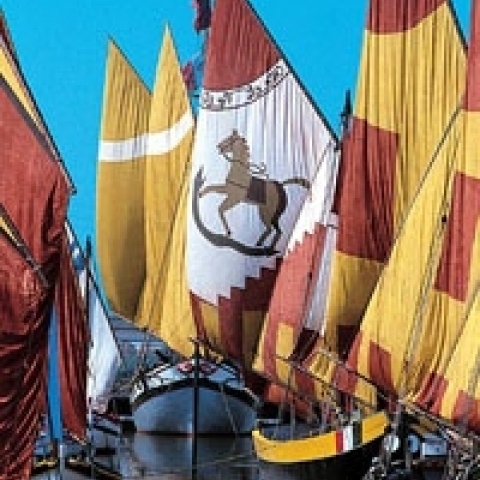 The name Emilia Romagna was officially adopted in 1947 to comply with the unique historical individuality of the region. 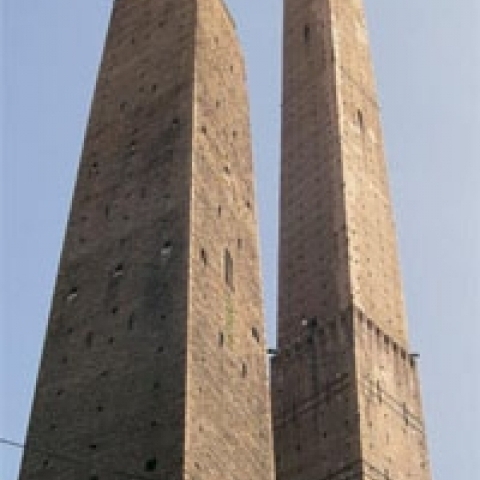 The region developed along via Emilia, an artery capable of polarizing economic activities, together with the agricultural, industrial and urban development. 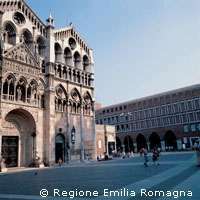 The territory of Emilia Romagna consists of mountainous and hilly areas, as well as sweeping plains and gorgeous beaches. The territory is divided by the rectilinear path of Via Emilia and the relief is articulated by the Apennine Mountains, whose summits rise above 2000 meters. The mountains are characterized by a dense mesh of transversal combing valleys that gradually descend towards the plains, unfolded by rivers. 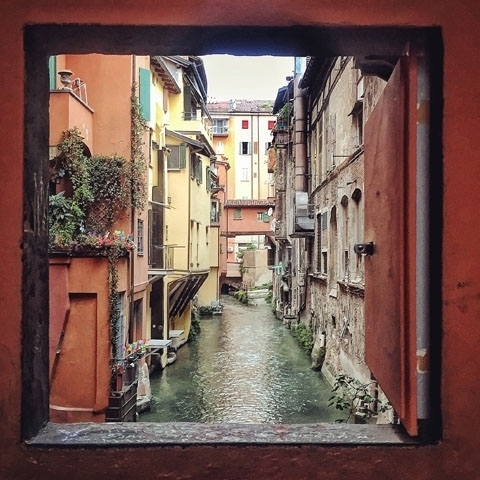 The Valley of Po is one of the most suggestive natural areas of Emilia Romagna, characterized by a vast extension of marshy areas, lakes, and valleys surrounded by hills. 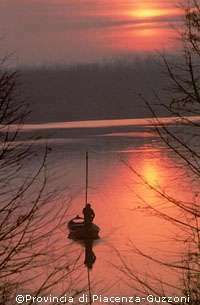 The Delta of Po is a famous destination among naturalists and offers a wide variety of activities, ranging from hiking to bird watching, recreational fishing, or kayaking. 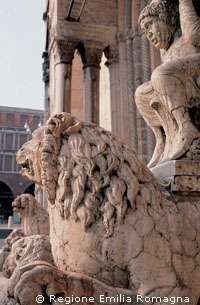 The Adriatic coast, on the other hand, is characterized by a plain territory and the presence of many beaches. The Riviera represents an attraction for those in search of engaging nightlife and entertainment, although some less-known natural paradises boast quiet beaches where families can relax. 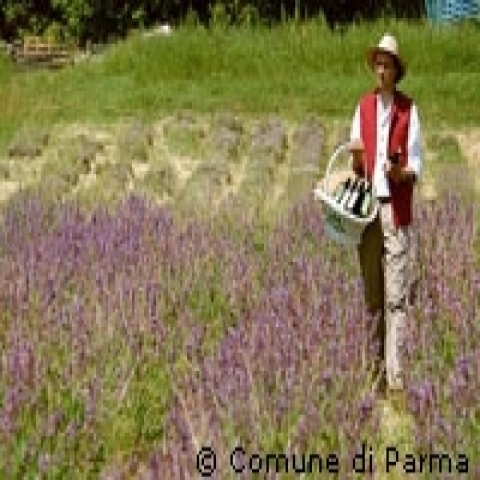 The climate of Emilia Romagna is a type of continental fresh climate with long winters and hot and dry summers. 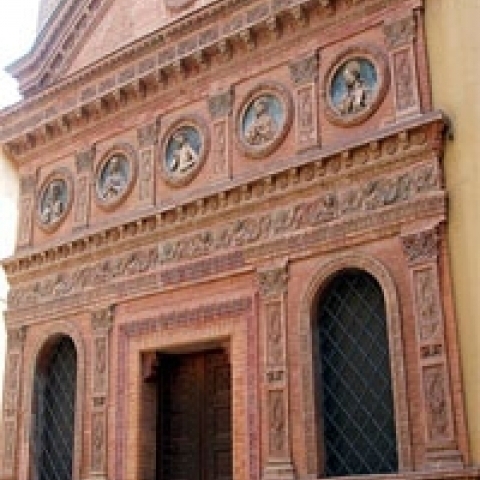 The influence of the Adriatic’s mild climate is rather poor, yet its presence is felt mostly in the Emilia area, above all in Bologna. The climate in Pianura Padana is characterized by the frequent formation of fog during fall and winter, while in the Apennine areas during the cold months are characterized by the presence of snow. 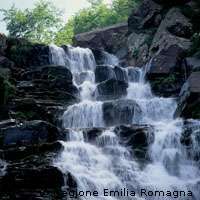 Emilia Romagna’s environments are characterized by a significant biodiversity that varies between the plains, valleys, wetlands, and mountains. Throughout the region, there are many natural parks and reserves that boast a florid vegetation and woody coverings. 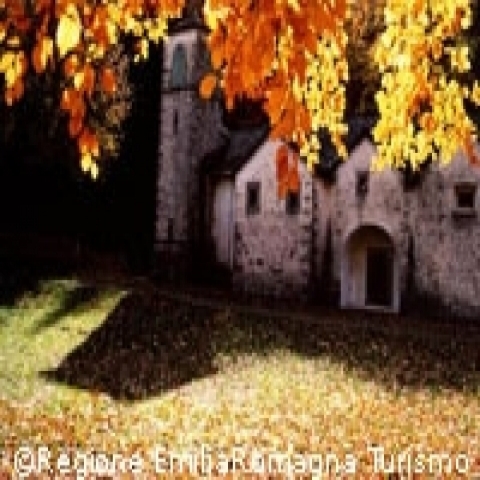 The protection of the environment is majorly entrusted to two national parks, the Tosco-Emilian Apennines and the Casentino Forests divided with neighboring Tuscany. 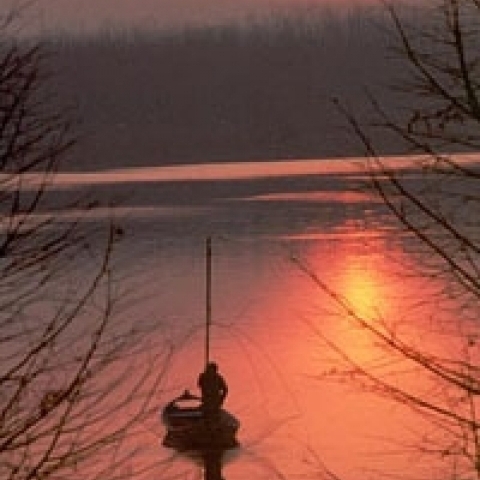 Among the various regional parks, the most famous is probably the Regional Park of the Delta of Po, which is a declared world heritage site by UNESCO because it preserves some of the most unique wetlands in the world. To protect their environment, the region developed rational urbanization plans that have contrasted with the global trend. 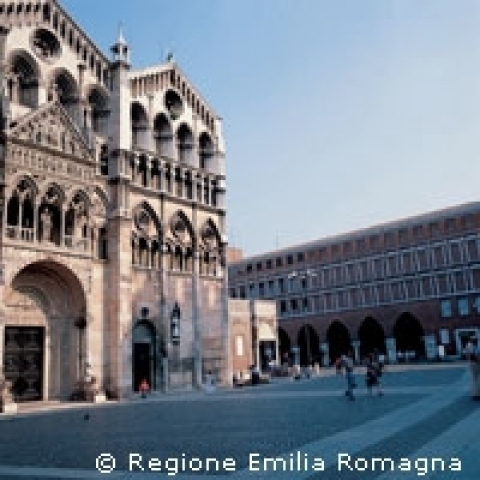 Emilia Romagna not only preserves its natural areas, it also preserves the historic centers of the various cities and towns. 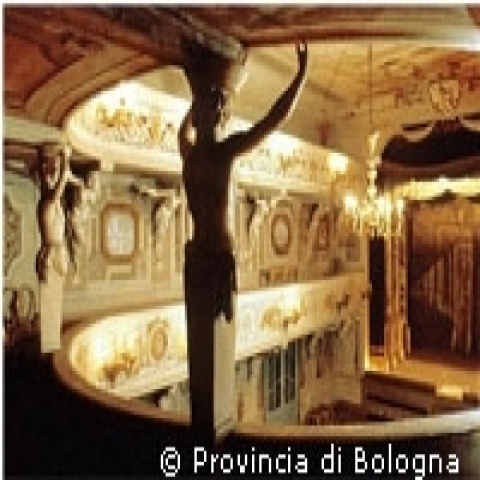 The land of entertainment in all its forms, Emilia Romagna is immortalized in numerous Italian films and comedies as a top destination. 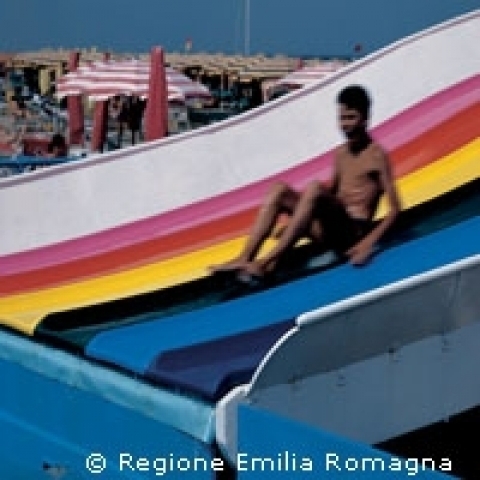 In fact, Emilia Romagna offers visitors everything they desire, from sun and sea, beach fun, natural reserves, parks, wellness, and relaxation. 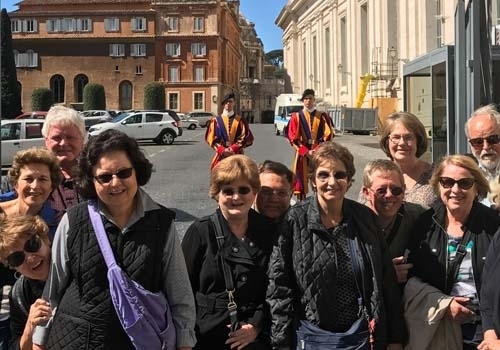 The region goes hand in hand with gourmet food tours, countless mesmerizing trails, days spent in thermal spas, frenetic nightlife, and a relaxed pace of life on some beaches. 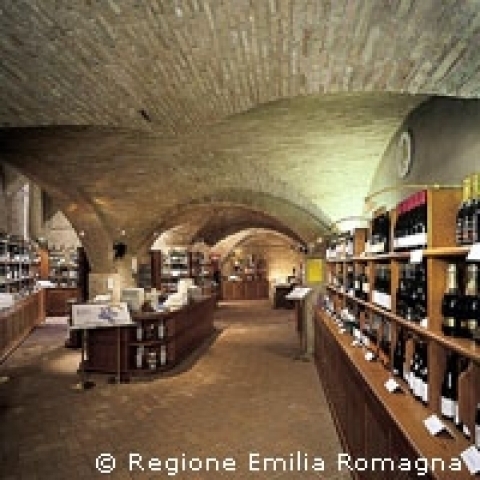 If the idea of gourmet food and wine tours inspires you, then we have to tell you that there is no better region than Emilia Romagna. 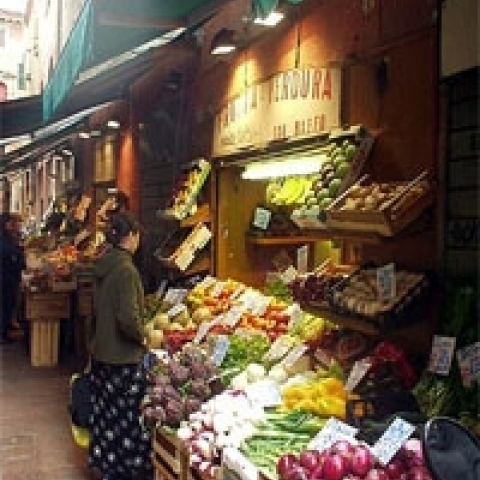 This region boasts a unique cuisine with countless dishes and traditional products that will make you crave some more. 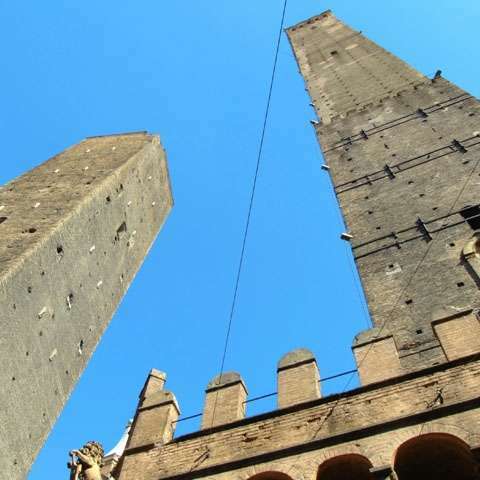 When it comes to traditional salami and other meat products, Piacenza and its province are a territory to discover. 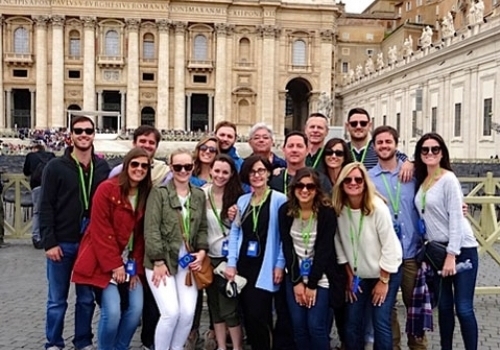 The area boasts some wine and flavor routes that stretch along cultural and spiritual destinations. 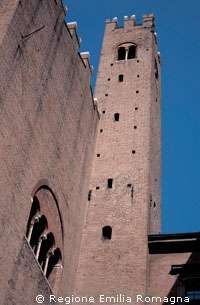 Among the products to taste in Piacenza and the province are the local pancetta and the Piancentino salami that pair perfectly with the delicious wines produced in the Colli Piacentini area. 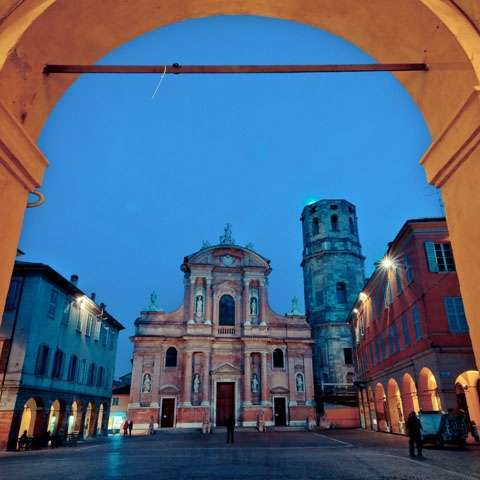 Parma is a city characterized by a refined atmosphere and a precious medieval center, while the province creates the perfect setting for relaxation thanks to a varied natural landscape that is full of castles and medieval churches. Prosciutto of Parma pairs perfectly with the red wines produced in the many wineries across Colli di Parma, while the Spongata di Busseto is a delicious dessert made of pastry filled with apple and pear jam, candied fruit, pine nuts, and almonds. 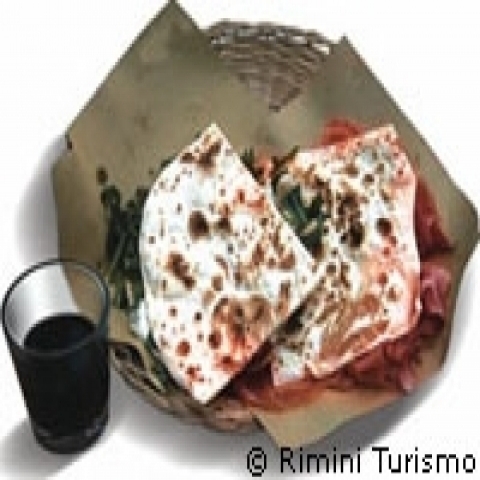 Romagna Riviera is not only famous for its entertainment and nightlife, it is also famous for the exquisite piadina romagnola, usually filled with squacquerone cheese and rocket, a type of green. The cheese also pairs well with honey or marmalades, with caramelized figs, and with a good Sangiovese wine. 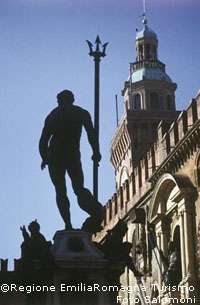 The area of Reggio Emilia, on the other hand, is the home of the exquisite cheese Parmigiano Reggiano that is still produced according to the ancient techniques. 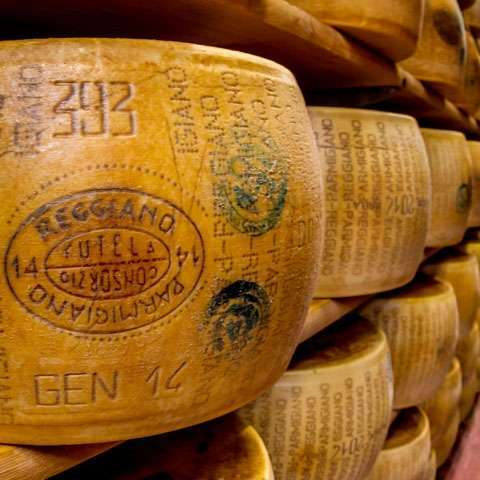 This cheese is a classic of the Italian cuisine and pairs well with a wide variety of salami and prosciutto, with jams and honey, with balsamic vinegar and with dry red wines. Apart from the cheese, the city boasts a wonderful historic center full of cultural heritage and artistic manifestations of many styles. The old town of Cesena, bordered by ancient walls and boasting a great architectural and artistic prestige, is not only home of one of the most well preserved monastic libraries, it also impresses with its pecorino di Sogliano cheese that is usually smoked in sandstone pits and served with incredibly delicious grapes. 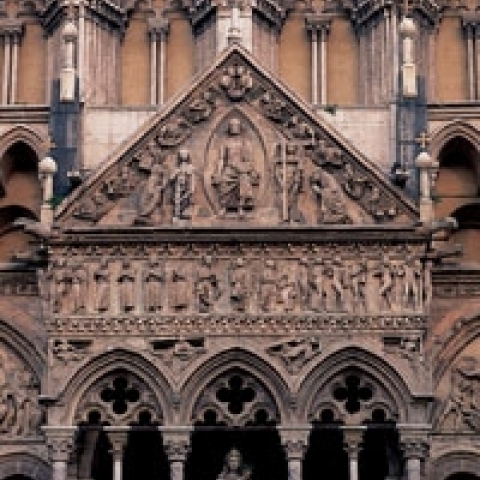 Ferrara is a city of a remarkable value from a cultural point of view. 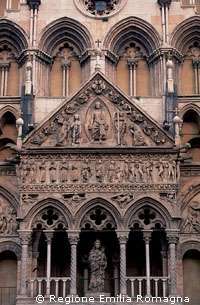 One of the most important city of the region in the Renaissance era, Ferrara still preserves an outstanding artistic heritage and a few UNESCO sites. 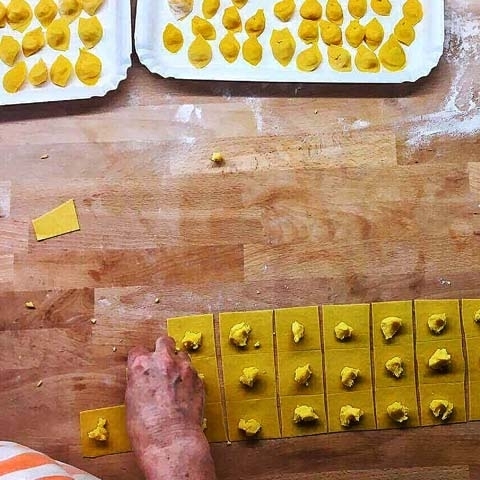 Ferrarese cappellacci, a type of pasta stuffed with pumpkin, cheese, and nutmeg will also delight your senses, while the Ferrarese IGP is a type of bread that cannot be tasted elsewhere. 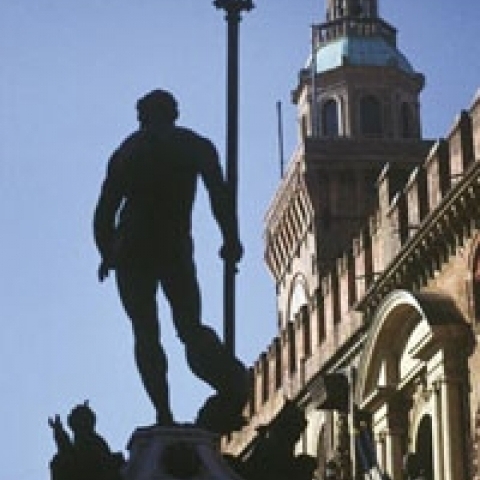 Without a doubt, Bologna is the capital of the food in Emilia Romagna. 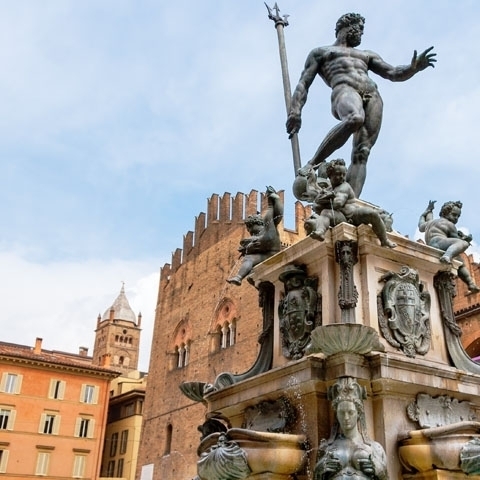 Home to the most ancient university in the world, Bologna boasts a frenetic cultural and social life that contrasts with the medieval charm of the historic center. 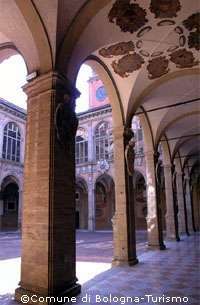 In fact, Bologna has one of the most extensive and well-preserved old towns in Italy. 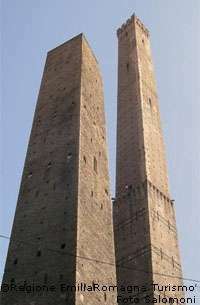 Bologna also has the famous mortadella, a typical salami that pairs well with bread and parmesan cheese. 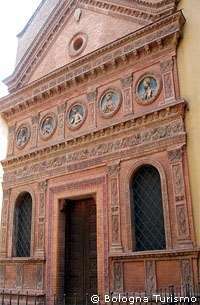 Lastly, we must mention Modena, the home of the Italian Military Academy. 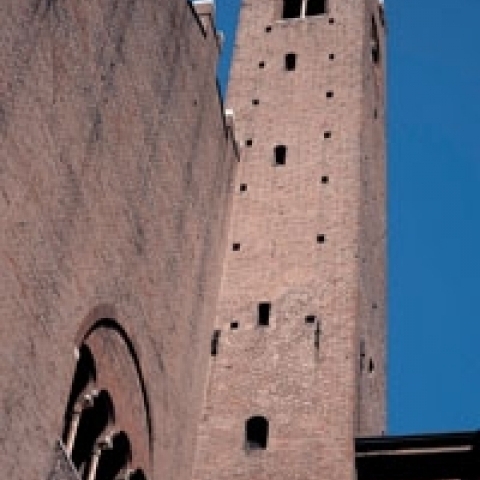 Modena also boasts an impressive medieval old town and several edifices declared world heritage sites by UNESCO, including the Dome, the Civic Tower and the Great Square. 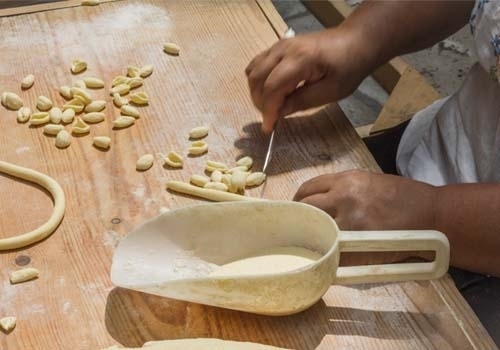 A stop in one of the local taverns will feature deliciously fried gnocchi stuffed with salami and served with the traditional balsamic vinegar of Modena. 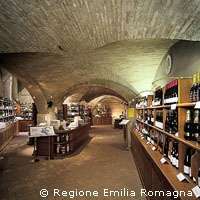 The Modena area is also famous for its wide variety of white wines. The Pignoletto is one of the most exquisite wines to taste in the area. 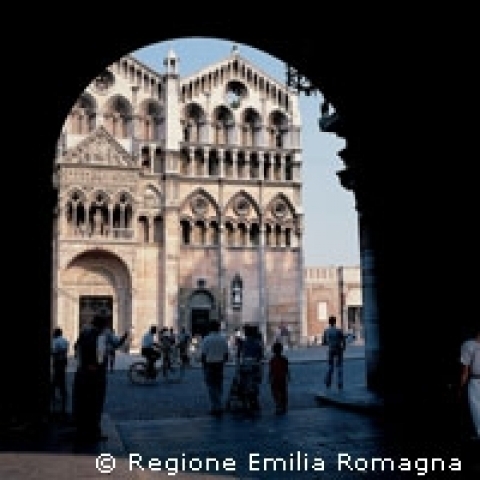 Emilia Romagna is also famous for its splendid beaches, vibrant nightlife, amusement parks and large resorts. Without a doubt, the region is synonymous with summer entertainment, yet it also boasts plenty of quiet beaches where is easy to relax or enjoy the peace. 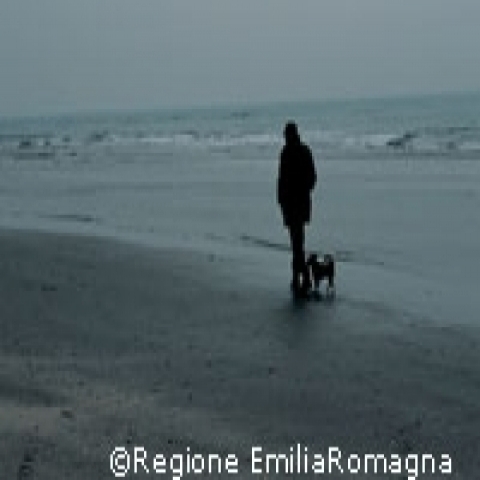 Some of the most beautiful beaches to visit in Emilia Romagna are located in Cesenatico, Cervia, Ravenna, Comacchio, and Cattolica. Cesenatico beach is a long sandy strip that stretches along the homonymous town. The beach is fully equipped with lidos and local restaurants, the sand is fine and the beach blends seamlessly with the sea. 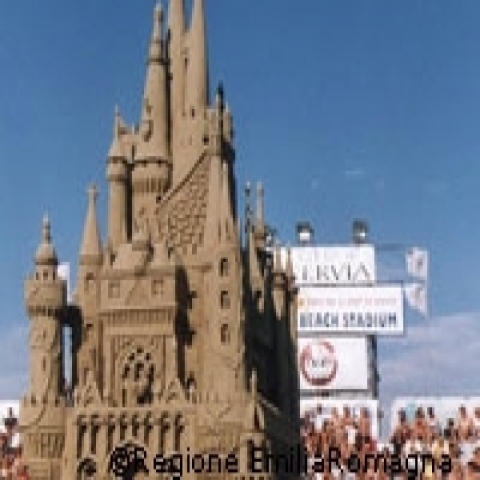 To enjoy both the beach and the nightlife, Cervia is the place to be. 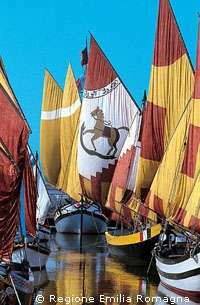 The beaches and promenades of the Cervia are full of nightlife while the area still offers plenty of golden sand stretches where it is possible to catch some sun or swim in the crystalline waters. The rare pearl of this area is the beach of Pinarella, a long strip of sand exalting the beauty of the surrounding pine forest that gently slopes down into the sea. 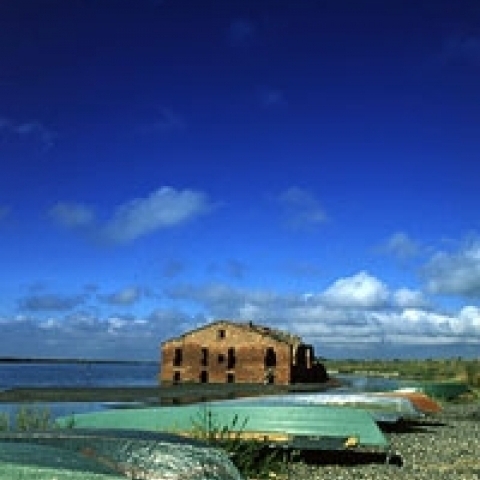 Lido di Volano in Comacchio is ideal for beautiful walks in nature. This natural oasis is characterized by a beautiful beach with a green flora, water valleys and sea patches on the beach, set in a very special landscape. 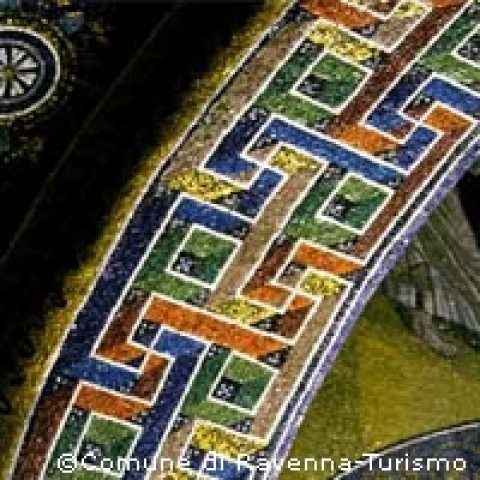 Ravenna, besides good food and impressive architecture and art, also boasts wonderful beaches and an attractive crystalline sea. The beach of Marina di Romea is one of the most interesting because it is really well-equipped with amenities, yet it also offers a wide and pleasant spot from a naturalistic point of view. This beach continues with another beach, Porto Corsini, that has amazing golden sand and pristine nature that stretches along the dunes belonging to the Regional Park of the Delta of Po. 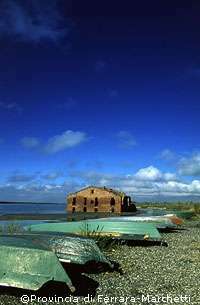 Another unspoiled area is the beach of Bellocchio Ancona, located in the middle of the Regional Park of the Delta of Po, on the border between Comacchio and Ravenna. This beach is the most preferred among the locals. 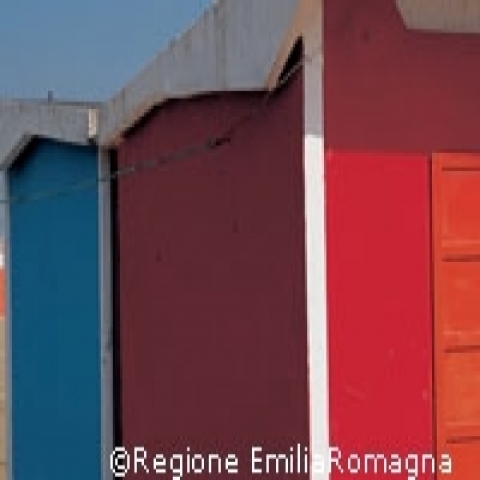 Rimini and Riccione are famous for vibrant nightlife and entertainment, while San Mauro Pascoli is another quiet beach that is safe for the little ones. 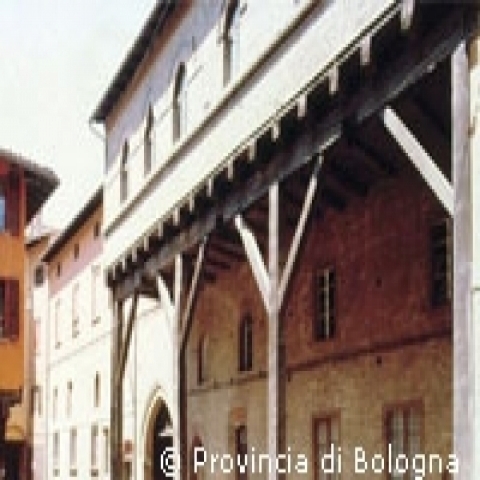 Emilia Romagna also has something for car buffs and motorcycle enthusiasts. 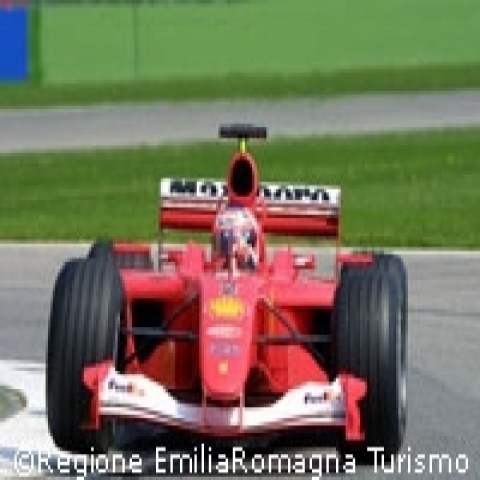 In fact, if we speak of the most luxurious Motorsport cars in the world, they are all native to Emilia Romagna. The most famous among them is, without a doubt, the iconic Ferrari. There are two museums dedicated to this legend. 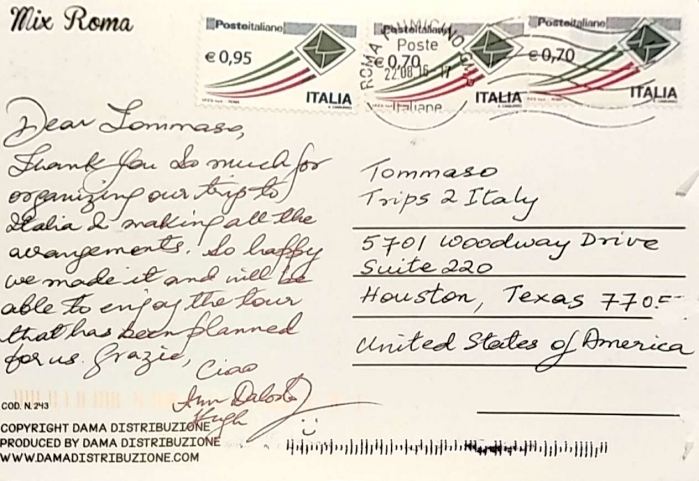 One of them is Museo Casa Enzo Ferrari in Modena, a museum dedicated to the life and work of Enzo Ferrari, the founder of the company. In Maranello, the Museo Galleria Ferrari exhibits some of the most famous models of the car and is located next to the Ferrari factory. Lamborghini also has a dedicated museum in Sant’Agata Bolognese, while another famous sporty car, Maserati, is also native to Emilia Romagna. The Ducati Museum in Bologna features many objects and exhibits related to the history of the brand, along with numerous models of motorcycles. Throughout the region, many companies propose driving experiences of these vehicles, allowing people to enjoy driving while admiring the dazzling landscapes of the region’s countryside. 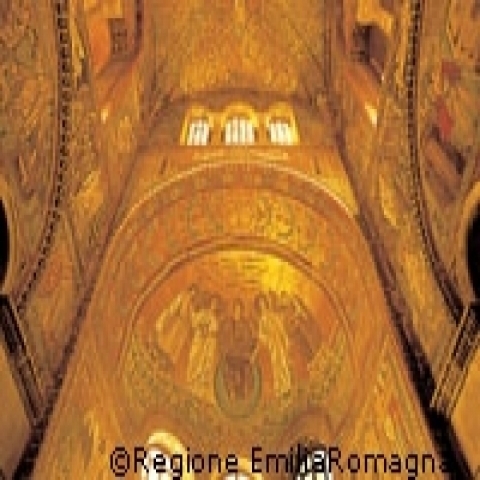 Emilia Romagna is also a land of spas, which are ideal for relaxation and wellness. One of the oldest spa centers in Emilia Romagna is Terme di Riolo, in the province of Ravenna. The thermal baths, built in the 70s, still retain the same untouched beauty and tranquility of the last century. Immersed in the hills of Romagna and in the heart of an immense secular park, the baths are a place to relax and rejuvenate. 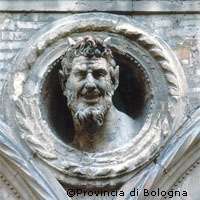 These thermal baths are also a true treasure chest of natural resources in terms of medical waters and muds. 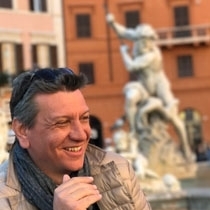 Fratta’s thermal spas, in the heart of Emilia Romagna, are a high-quality wellness resorts characterized by luxury and wellness treatments of national excellence. The waters have numerous benefits and properties that are certified from a medical point of view. 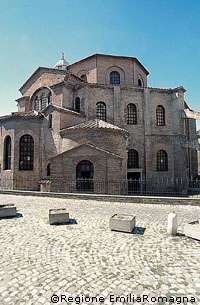 Lastly, we have to mention the thermal spas of Salsomaggiore, considered the heart of wellness in Emilia Romagna. This establishments are specially designed for women, and its waters are proved to cure various pathologies and restore the psychophysical balance. 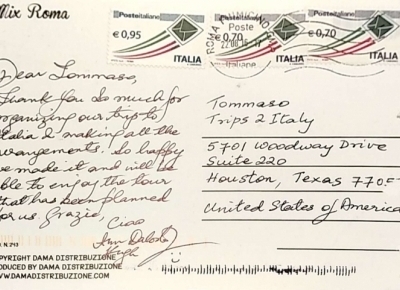 Tortellini, ragù bolognese, lasagne, and mortadella were all born here…eat as much as you can!